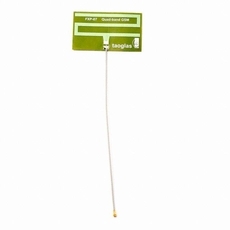 FXP07.07.0100A is a general version of stick-on flexible PCB. It is designed with 100mm 1.13mm coaxial cable and the IPEX connector for easy installation. FXP07.07.0100A is ideal for initial test of FPCB type antenna.